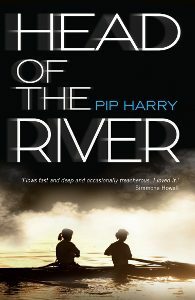 Pip Harry is the author of three Australian YA novels, I’ll Tell You Mine; Head of the River, an unflinching look at elite school rowing, and now, Because of You which gives insight into people living on the streets. Where are you based and what is your current role, Pip? 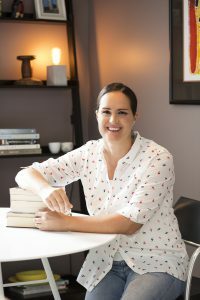 Currently I am based in steamy Singapore, where my family has been living for the past 18 months on an expat adventure. I had an earlier stint here when I was six years old … it’s changed a bit since then! I love the warm weather, the proximity to Asia for quick trips to exotic destinations and the food is so good. Satay, noodles, chilli crab, dumplings, I could go on! How involved are you in Australia’s YA community? I’m actively and passionately involved in Australia’s YA community, even from my Singapore outpost! 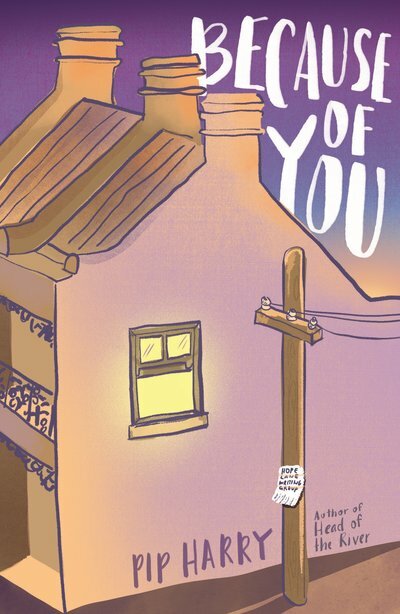 Through the #LoveOzYA movement – which aims to promote local content to local readers – I’ve been swept up in support and love for Aussie YA. 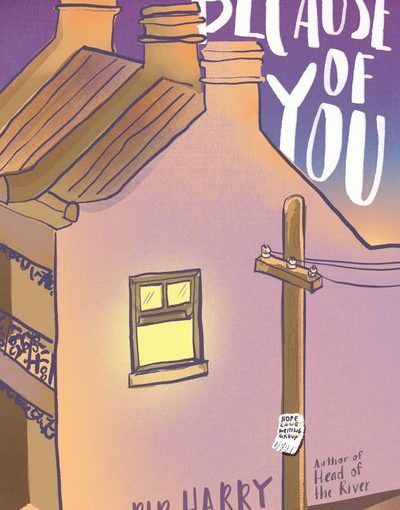 Wherever possible I review or promote other #LoveOzYA releases. We are one big YA family. Could you tell us about your earlier books? In 2012, I released my debut novel, I’ll Tell You Mine, about a goth teenager sent to a strict girl’s boarding school. In 2014, I followed up with Head of the River, about siblings competing in the high stakes annual school rowing race and putting it all on the line to win. 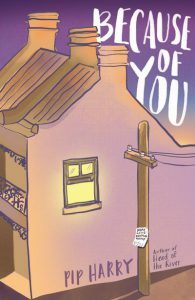 Why is your new novel Because of You (UQP) important? It’s important because it offers younger readers the opportunity to understand and emphasise with the daily struggles of street people. 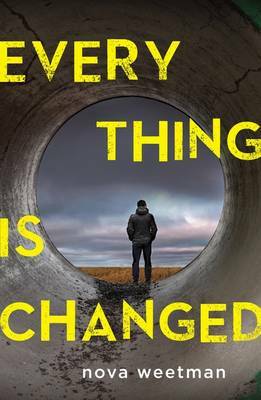 Many teenagers have little or no contact with the homeless community, except perhaps walking past them on the street, but this book tells their stories, reminds readers that it could happen to any one of us, and offers hope for change. Could you tell us about your major characters, Tiny and Nola? Tiny, 18, is sleeping rough and has fled her rural town for the city. 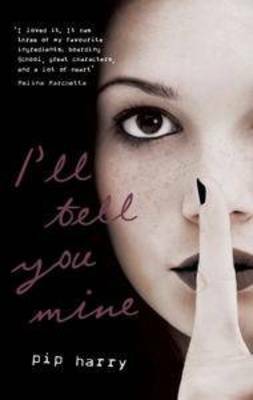 Nola, 17, is drifting through her final year at school, unsure of her path in life or her friendships. When Nola is assigned to do 20 days of mandatory community service at a homeless shelter’s creative writing program, the girls meet and form a friendship that will change both their lives. You have a cast of minor characters who help create the community setting. Who most pulls at your heart and why? One of the things I loved most about writing Because of You was the supporting cast of characters. The one who captured my heart was Meredith, who runs the Street Library. I love her belief that “books can save anyone, if they’re the right ones,” and her passion to bring stories to the streets. My son cooks burgers for the homeless in Sydney. What would you suggest ordinary Australians do for the homeless? Does he? That’s so fantastic! There is so much ordinary Australian’s can do to lend a hand in the homeless community, from serving food in soup kitchens to supporting creative workshops or offering your time and skills in other ways. Check out govolunteer.com.au for opportunities in your area. What hope do you see for Australia’s homeless in the near future? It’s easy to get discouraged about the homeless crisis when tent cities are being dismantled and figures for homelessness are rising. But my hope is that we can take national action to end homelessness in this country through supporting our homeless organisations and investing in affordable, stable and permanent public housing. 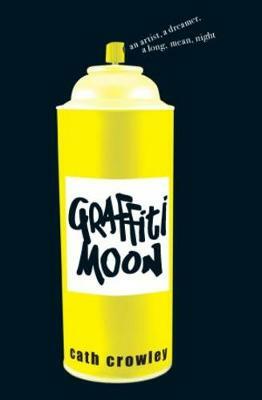 Why have you incorporated Marcus Zusak’s The Book Thief and Cath Crowley’s Graffiti Moon into Because of You? Those books are incredible and they’re written by Australian authors I admire, so I wanted my characters to read and adore them too! I’ve been reading the chilling, ghostly Ballad for a Mad Girl by the brilliant Vikki Wakefield and I’m in awe of the backwards narrative in Everything is Changed by Nova Weetman. I really liked the passion and rawness of Milk and Honey by Rupi Kaur. Thanks very much, Pip, and all the best with Because of You.